At least eight people have died in a cholera outbreak in two refugee camps for internally displaced people in Maiduguri. Dozens more are being treated and there are fears the virus could spread. 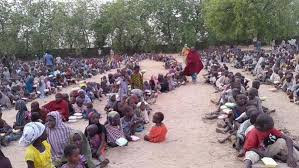 About 1.8 million people are living in camps in the region after fleeing the armed group Boko Haram. Al Jazeera's Catherine Soi exclusively reports this from the city of Maiduguri.